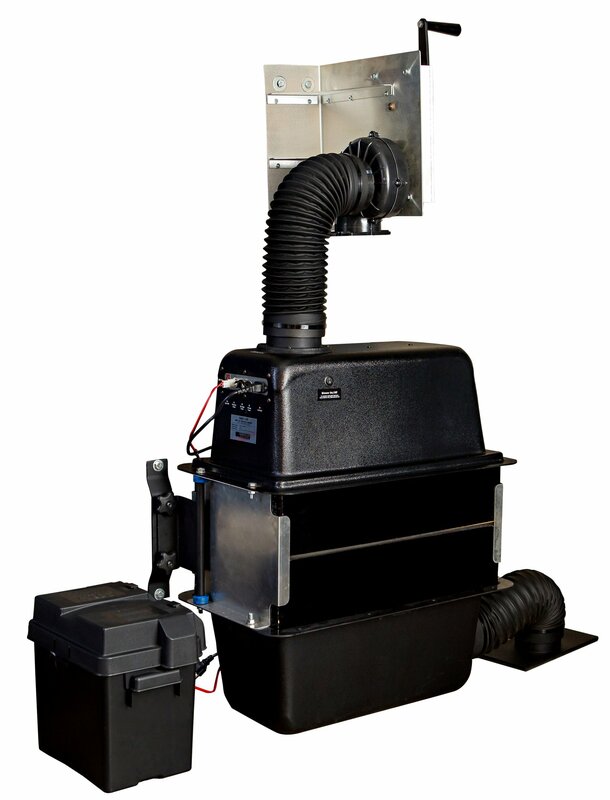 The only Nuclear, Biological, and Chemical air filtration system with an automatic battery backup system built in. 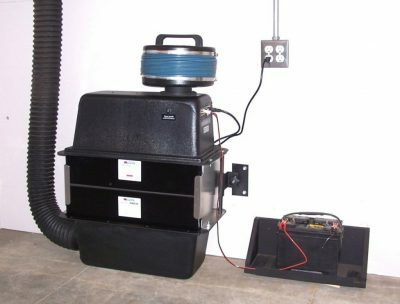 If the grid drops out, the battery kicks in, and overpressure is maintained in your shelter! A four inch air intake hole is cut into an outside wall and the included wall mount flange is mounted right over the hole on the inside. The Safe Cell is mounted to the wall with the included wall mount bracket next to the air intake hole. The intake hose is slipped onto the wall mount flange and the air intake port on the Safe Cell. Plug it in and turn it on. Easy installation! For a more detailed explanation – see the manual. 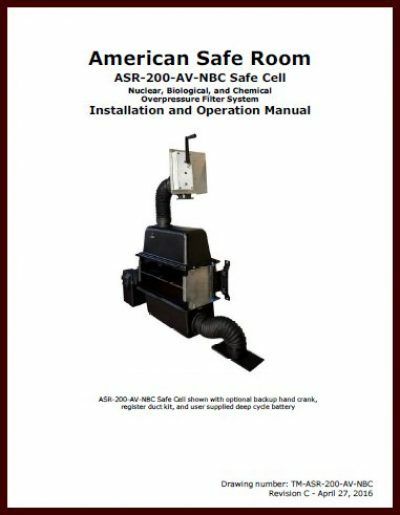 The Safe Cell comes with everything necessary to pull it from the boxes and install it in a safe room. If your room is sealed up, you will also need an overpressure valve. If you are installing it in a blast resistant shelter, you should also install blast valves. One AC and DC capable Safe Cell with a complete filter bank that includes the two pre-filters, a nuclear grade HEPA particulate filter, and a warfare gas carbon adsorber. Two wall mount brackets, two quick release clamps, two star nuts, and four lag screws. One AC and one DC power cord. One 60 inch chemical resistant flexible air intake hose. One wall mount flange and gasket for the hose. One hard copy of the installation and operation manual. 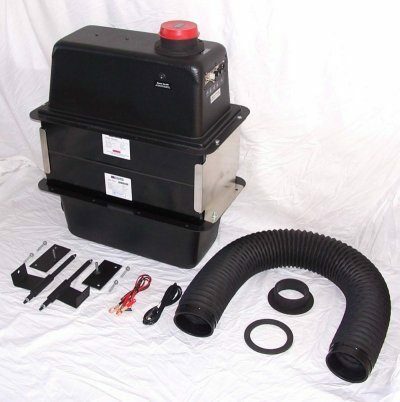 This is a stock item – we normally have these filtration systems in stock. Just before the Iraqi war of 2003 and right after the Japanese Fukusdshima nuclear power plant event in 2011, we were overwhelmed with filter orders. We ran out of HEPA filters in just a few days – all for the American market. The special nuclear grade HEPA filters we use are individually scan tested and comply with UL 586. It normally takes three weeks to get an order delivered to us from the largest American filter manufacturer. If there is a nuclear event anywhere in the world, the interest in acquiring an NBC air filtration system will be relentless. Be sure and see our replacement filter page. Every Safe Cell should have at least one complete reload of filters.